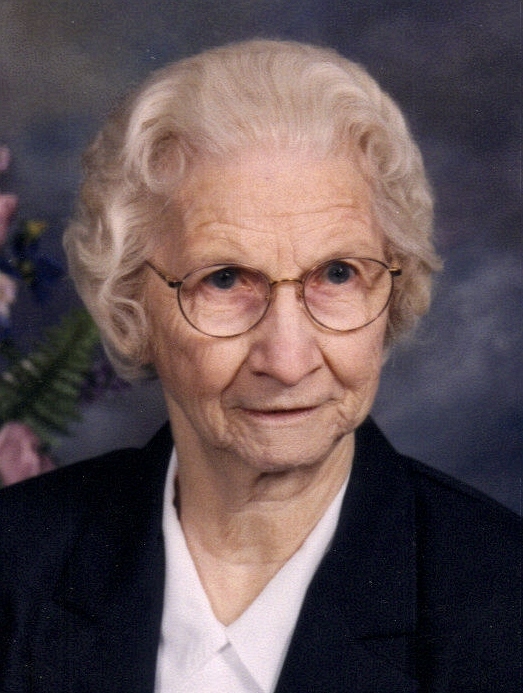 Doris Kramer, 94, died Thursday August 16, 2007 at Bethany Lutheran Home in Sioux Falls. She was born on October 6, 1912 near Egan, South Dakota. Doris graduated from Egan Consolidated High School and then attended college in Sioux Falls. She was a teacher and then worked as a cashier at a mercantile store in Flandreau. Doris married Jim Kramer in Flandreau. They farmed there until 1955 when they moved to Sioux Falls. Jim died on December 15, 1963. She worked for Sioux Valley Hospital for several years after his death. Doris was a member of St. Lambert's Church. Doris is survived by her son: James (Kim) Fairfax, VA; daughters: Mary Dirks, Canton, SD, Delores (Don) Moe, Burnsville, MN, Trish (George) Matias, Shakopee, MN, Karen (John) Twitchell, Ankeny, IA Becky (Bill) Viereck, Larchwood IA; and many grandchildren and great-grandchildren. Visitation will be Sunday from 5-8 PM at Barnett-Lewis Funeral Home with family present from 7-8 PM. Mass of Christian Burial will be Monday, 10 AM at St. Lambert's Church with burial to follow St. Simon and Jude Catholic Cemetery in Flandreau.